From a series of 90 flower woodblock prints created by Shodo in collaboration with Osuga and Kuzuhara. 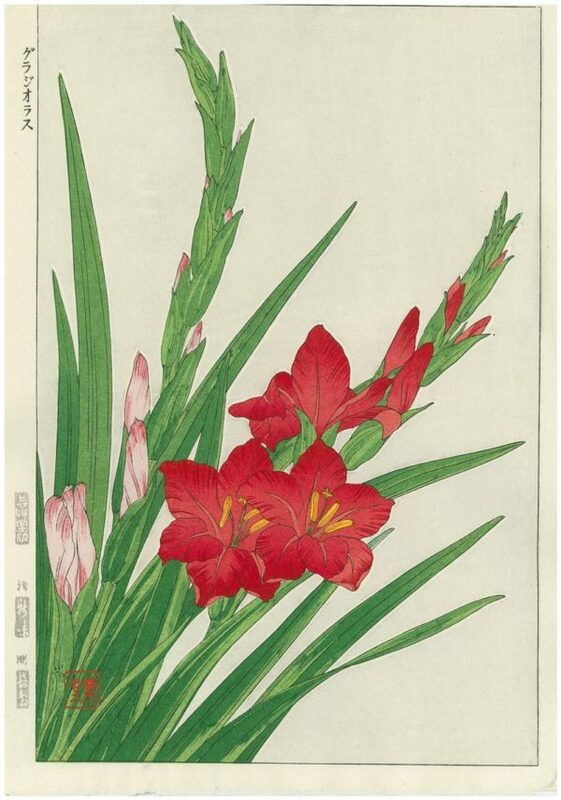 A beautifully carved and signed woodblock print by Kawarazaki Shodo of Gladioli. 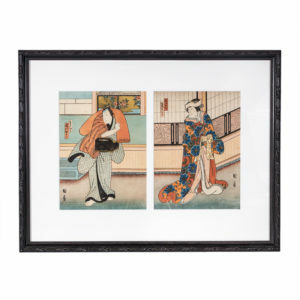 The print is part of the series created by Shodo along with two other woodblock print artists. Originally published in mid Showa period (1946-1970) by Unsodo. This edition is from the original blocks and bears the seal of Unsodo as well as the publisher and carver seals. 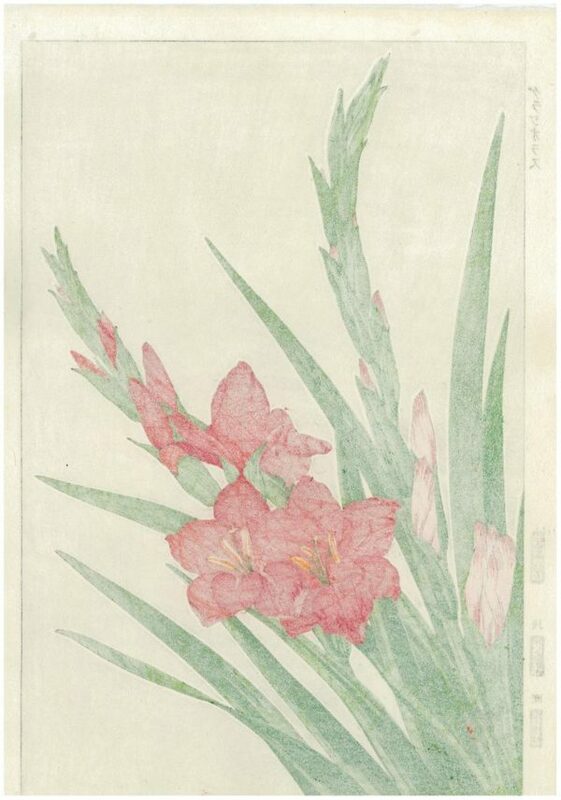 The series consists of 90 woodblock prints and is titled Kawarazaki Spring Flower series. 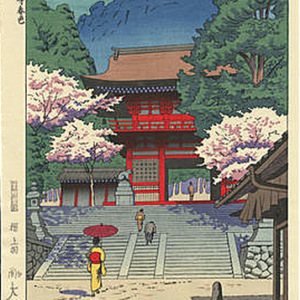 Shodo along with two other artists designed and created the series of woodblock prints. 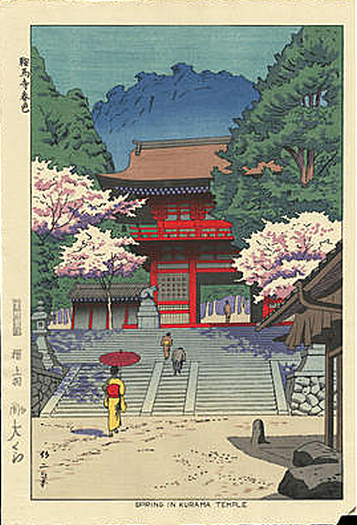 Other artists such as Osuga and Kuzuhara collaborated in the series.